Give your garden or patio a grand entrance with the addition of this graceful gateway. Complete with functional shelving, you can accent this well-styled arbour with your own personal touch, adding plants, small sculptures, or any decorative elements that suit your style. Made from durable steel with a rust-resistant finish this arbour is sure to bring style and grace to your patio or garden for years to come! 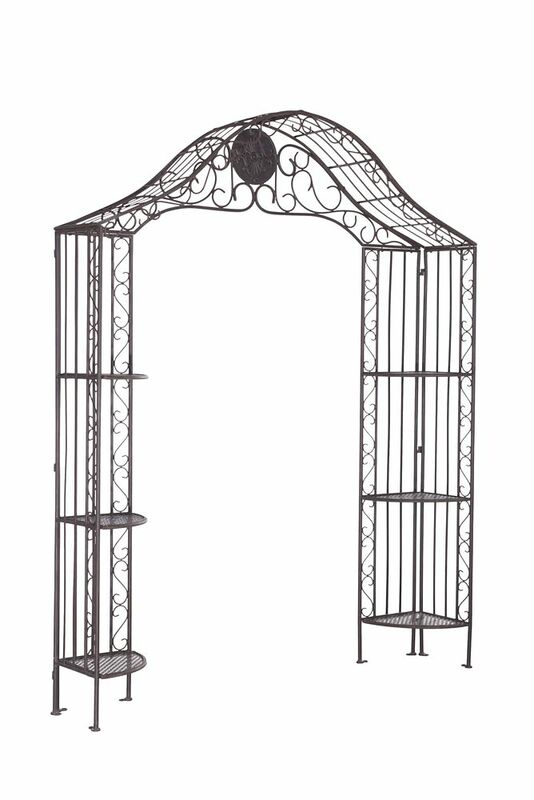 Liberty 71-inch x 92-inch Powder-Coated Steel Arbor Give your garden or patio a grand entrance with the addition of this graceful gateway. Complete with functional shelving, you can accent this well-styled arbour with your own personal touch, adding plants, small sculptures, or any decorative elements that suit your style. Made from durable steel with a rust-resistant finish this arbour is sure to bring style and grace to your patio or garden for years to come!